The new open data portal for Detroit didn’t have as many exciting datasets as I had hoped, but this was one that peaked my interest. Driving all around Detroit on a regular basis you will often run into signs stating that certain traffic signals are under study for removal. I’ve been surprised to see quite a few of these, but when looking at this dataset it appears as though the city has very few traffic lights. Downtown and Midtown are well saturated with traffic lights and the major North-South and East-West roadways are well traffic-lit. What is most odd is the very empty Northwest corner and Far Eastside where the highest population densities also are present. Why so few traffic lights in populated neighborhoods? Is it a function of Detroit’s growth history? Infrastructure? Are more people involved in traffic accidents in those areas? A commenter on Facebook noted that these appeared to only be City of Detroit traffic signals because there are more County roads in Northwest Detroit. This can also be seen by locating Woodward Ave., which is a State of Michigan trunkline highway, and noticing that there are blank spaces where traffic signals would be located (same with Grand River Ave./ US-16 or Gratiot Ave./M-3). Therefore this is in no way a representation of all traffic signals within the City of Detroit, but rather the traffic signals that are managed by the City. 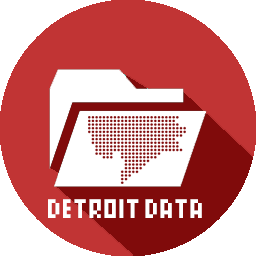 ← Is Detroit’s Data More Open? 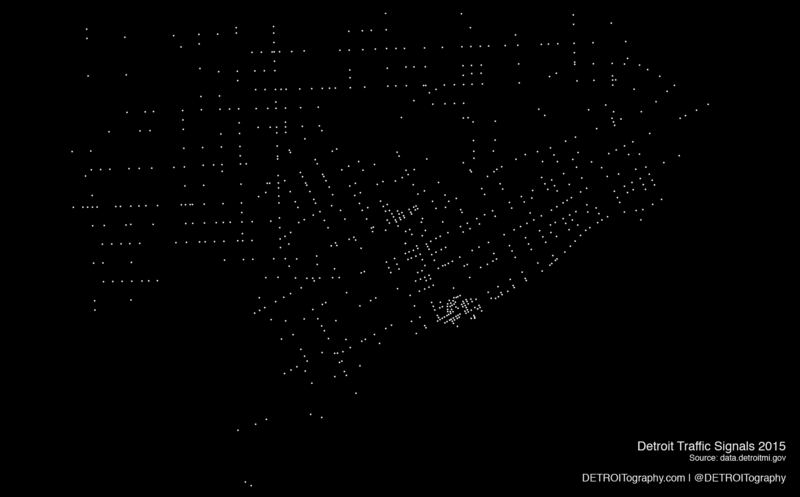 There are more Wayne County roads in northwest Detroit. These are only City of Detroit traffic lights. I suspect that’s the answer to one of the questions. Thanks Todd, I hadn’t thought of that. I can’t imagine keeping traffic infrastructure straight if they are managed by separate systems.